The European passenger plug-in market seems to have reached a turning point, with October growing 56% regarding the same period last year, to over 27.000 units. This is the fifth time in the last six months where we see 50%-plus growth rates. Looking at the broader picture of the Automotive market in Europe, we are also watching some seismic changes, with diesel-powered cars dropping 10% YoY in October, to 41% share, while regular gasoline cars are up to 51% and Alternative Fueled cars (PEVs, HEVs, CNG, etc) are up to 6% share. If we look only at PEV share, October hit 2.1% share, keeping the year-to-date share at a record 1.8%. October saw a close race between the Renault Zoe and VW e-Golf, decided in the last minute by photo-finish, with the Renault Zoe winning by just 46 units, while the VW e-Golf (2.159 units) performed its third personal best score in a row. Interestingly, the two Best Selling ICE models in Europe (VW Golf and Renault Clio) have their plug-in counterparts (e-Golf and Zoe) reaching the Top 5. Expect this to become a trend, once more and more mainstream buyers, more risk-averse, join the EV market. #1 Renault Zoe – Despite growing 52% YoY, the October performance of the French hatchback was a bit disappointing, scoring 2.205 units, losing the Untouchable status it had in the first half of the year. Considering there is still a waiting list to be filled, Renault could increase production at their Flins factory without major demand problems. Are production constraints to blame? As for market individual performances, despite underperforming at its home market (775 units, down 4%), it broke all records in Spain (554 deliveries), thanks to a car-sharing deal, collecting also high numbers in countries like Germany (243 units), and Sweden (119 deliveries, being the third straight month of record deliveries). 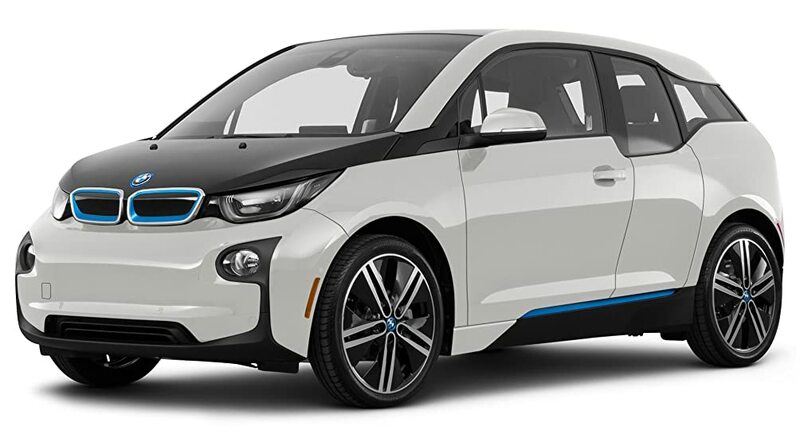 #3 BMW i3 – The German Hot Hatch was down 4% in October, to 1.687 units, with this drop being explained by the current facelift change. With BEVs now representing 74% of all sales, we are very far from the mix of April 2016, when the BEV version represented only 48% of sales. Looking at individual countries, no big surprises, with Norway registering 417 units (All BEV), and Germany scoring 332 registrations. Looking ahead, expect deliveries to pick up, as BMW starts to deliver their new, facelifted units. #4 Mitsubishi Outlander PHEV – A sure value, the Japanese SUV has seen its sales go up 6% YoY, to 1.494 registrations, with Mitsubishi being one of the few Top OEMs to have its sales limited by demand and not production. As such, Mitsubishi is actively promoting its plug-in model, highlighting its unique mix of space, AWD and electric range (50 kms NEDC), with competitive prices (Read “deep discounts”) as the icing on the cake. This makes him popular in markets like in the UK, Norway, Sweden or Germany. In the long run, it is not certain that the Japanese SUV can keep up with the general growing sales trend and stay among Europe’s top sellers. #5 Volkswagen Passat GTE – Back at the Top 5, VW’s favorite PHEV company-car recorded 1.244 units last month. The largest markets for the Passat GTE were Sweden (535 units), Germany (235) and Norway (207). With the right mix of space, electric range and a familiar badge, expect this model to continue to be a regular here. October didn’t brought many changes to the YTD ranking, with the Renault Zoe remaining stable in the lead, and the Second Placed BMW i3 distancing itself from the Nissan Leaf, now entering in “sunset mode”. With the Outlander PHEV less than 500 units behind, we might even see Mitsubishi’s SUV drop the Leaf to Fourth before December. The first position change was in the Eighth Position, with the VW e-Golf displacing the Tesla Model X, with the ever improving German BEV now aiming for the Fifth position by year end, and maybe a podium place next year. In the second half of the Top 20, we see the Golf GTE climb to #13 and the Hyundai Ioniq Electric reach #18. But the real news is the Streetscooter Work delivery van joining the Top 20, having registered 910 units last month, and despite being only sold in just two markets (Germany and the Netherlands), it is already the Best Selling model in its category. Is the DHL-owned company starting to be disruptive in the delivery van class? Looking at the manufacturers ranking, BMW (20%) is comfortably seated at the Iron Throne, followed by Renault (13%) in Second Place, while a recovery-mode Volkswagen (13%) is closing in, having recovered 1200 units in October and now being only some 800 units behind the French manufacturer. Will we see VW reach Silver next month? Outside the podium, Tesla (9%) is running ahead of Nissan and Mercedes, both with 8% share. A best ever 136 plug-ins were sold last month, up 139% YoY, with the EV Share jumping to a record 0.8%. Looking at the models ranking, the leadership is in the hands wheels of the usual Best Seller, the Mitsubishi Outlander PHEV, with 214 units, but it is now threatened by the Hyundai Ioniq Electric, that registered 83 units last month, a new all-time high for any Plug-in in New Zealand, which is now only 33 units behind the Japanese SUV. Will we a see surprise change in December? 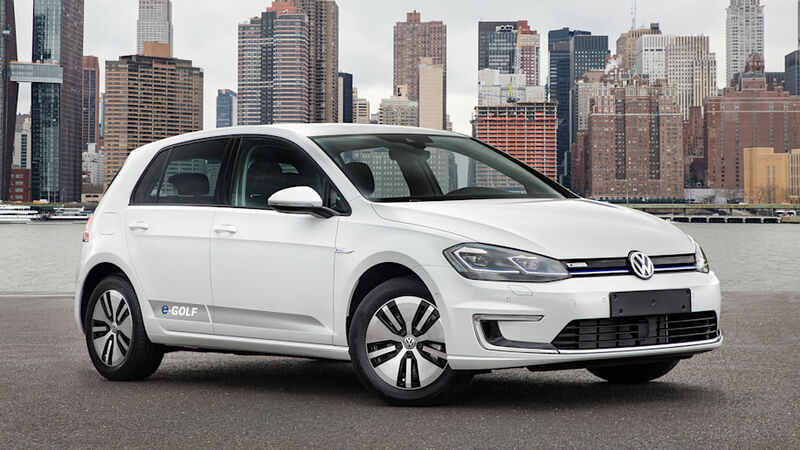 Another BEV on the rise is the VW e-Golf, now at #7, thanks to four deliveries. In the Manufacturers ranking, the six times Best Selling Manufacturer Mitsubishi is in the lead, with 28% share, followed by Tesla (25%), but the rising star Hyundai is not that far off (23% share), so it will be an interesting race to follow in the next couple of months. Comparing plug-ins with regular hybrids, we can see the results of a growing PEV market share, if in the past only the Outlander PHEV could compete with HEVs, and even then it was an occasional presence in the Top 5, now there are two plug-ins in the Top 5, with the Hyundai Ioniq BEV joining the Outlander PHEV and reaching the Second Place. An interesting stat, is that while the BEV version of the Ioniq registered 83 units last month, the HEV version only did two. I think this says something on what people really want. Cyprus registered 78 PEV's in the first three quarters of 2017, up 123% YoY, and double as much as the whole of 2016, so it's a market in rapid growth, with the PEV market share now at 0.8%, a new record and significantly higher than the 0.3% of last year. The Nissan Leaf is the Best Seller by far, with 36 units, being the only mainstream brand to bet seriously in this market. 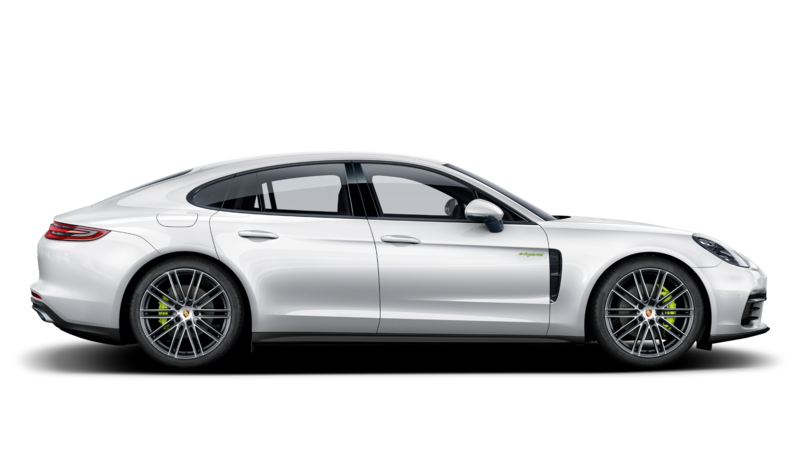 With four of the Top 6 being high end luxury cars, it is not surprising that the recently arrived Porsche Panamera PHEV is already Second Placed, displacing the BMW i3 to Third. Is Cyprus addicted to Premium PEVs? The answer is not so simple, as this is a market with CO2-based taxes, the larger the difference between the regular ICE-version CO2 emissions and its corresponding Plug-in version, the larger the incentive, so it is natural that would-be Porsche buyers feel more compelled to buy a plug-in than, let's say, a prospective Renault Zoe or Nissan Leaf buyer . Czechs love these things, even the local police! 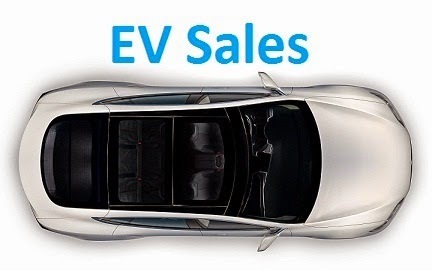 The EV Market in Czech Republic is up an impressive 114%, with 543 units sold this year, with the EV Share close to 0.3%. Looking at the models ranking, the BMW i3 is leading the pack, looking well positioned to win its fourth consecutive Best Seller title in 2017. The surprise of the year is the VW e-Golf, Second Placed with 66 units, followed by two other BEVs, the Tesla Model S and the Nissan Leaf, with only one PHEV in the Top 5, the BMW X5 PHEV. Good performances also for the Tesla Model X, #8 with 21 units, and also for the talented Hyundai Ioniq Electric, #13 with 13 deliveries. In the brands ranking, BMW (36%) has got this market covered since 2014, winning the laurels of believing in this market when no else one did. Volkswagen (23%) is Second, followed by Tesla, with 13% share, and Nissan, with 10%.